Oliver compared cryptocurrencies to a $US15,000 Beanie Baby before focusing on the variety of potential uses for the blockchain technology underpinning tokens like bitcoin. 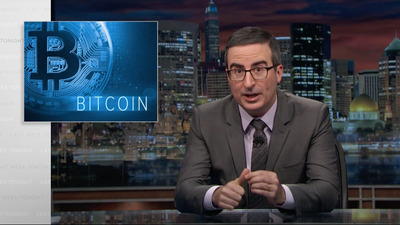 During the 25-minute episode, Oliver compared cryptocurrencies to a $US15,000 Beanie Baby or any other “speculative investment” that people agree has value. “The point is: If you choose to invest in the cryptocurrency space, just know that you’re not investing – you’re gambling,” Oliver said.